At Summer Wood Alzheimer's Special Care Center, in Moses Lake, WA, we want seniors to take time to heal, rest and renew after a hospital stay or injury. That's why we ensure day-to-day demands and errands are completely handled for the members of our community. We aid in some of the more manual tasks of life such as dressing, bathing and pain medication management, while also offering housecleaning, linen services, and three restaurant-inspired meals daily. At Summer Wood Alzheimer's Special Care Center we offer top of the line rehabilitation services and highly-trained staff members. We aim to create a circle of care, protecting the physical, emotional and spiritual needs of seniors during their time with us, while also keeping family members and other care providers informed of their progress toward recovery. In addition, we invite caregivers to take a much-needed break and allow us to care for a family member with dementia needs. 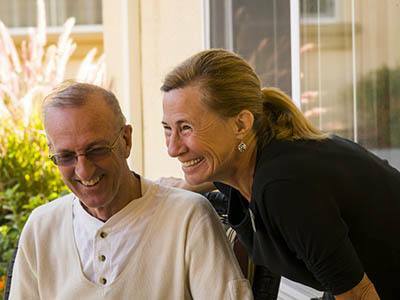 Let Summer Wood Alzheimer's Special Care Center be your go-to resource for respite care. Our respite care services go above and beyond. Call Summer Wood Alzheimer's Special Care Center today to learn more.